For better and for worse, Walt Disney (1901–1966) implanted his creations more profoundly and pervasively in the national psyche than has any other figure in the history of American popular culture. When the young cartoonist—a product of the worn-down midwestern petite bourgeoisie and of wearisome childhood toil—had his first popular character, Oswald the Rabbit, stolen from him by his film distributor, in 1928, he quickly, in desperation, created a new protagonist: Mickey Mouse. 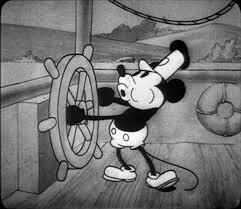 By the early 1930s, a million audiences were watching Mickey Mouse cartoons each year. In 1934, in the depths of the Depression, The Mouse’s image adorned more than forty items, from diamond bracelets to blackboards, bringing in $35 million in domestic sales alone. A year earlier, Disney had released Three Little Pigs, an eight-minute cartoon that was universally regarded as a populist parable of the Depression. It entranced the country; FDR quoted it; dozens of articles dissected it. Its theme song, “Who’s Afraid of the Big Bad Wolf?,” became, along with “Happy Days Are Here Again,” an anthem of the decade. And of course, this was just the beginning. To millions of Americans, a truculent Donald Duck symbolized the good fight against the Axis (“Der Fuehrer’s Face,” the hit song to Disney’s most popular cartoon, was the wartime counterpart to “Big Bad Wolf”). Disney then gave the postwar generation its deepest common cultural experiences. The releases of Cinderella, Peter Pan, Lady and the Tramp, Mary Poppins, and 101 Dalmatians—and the re­releases of Snow White, Bambi, Pinocchio, and Dumbo (probably Disney Studio’s finest feature)—were among the most universally and vividly experienced childhood events of the American middle class. The Mickey Mouse Club helped raise the children of the 1950s (and supplied Boomers with their own anthem). The broadcasts, on the television show Disneyland, of Davy Crockett (the first miniseries) spurred the biggest kids’ fad of the decade—the “coonskin” cap (10 million of which were sold) became the central element of the middle- class boy’s uniform. The show’s later iteration, Walt Disney’s Wonderful World of Color, was probably the most significant factor in making color television a fixture in suburban living rooms and helped assuage the peculiar melancholy of the school year’s Sunday nights. Within eleven years of Disneyland’s opening, in 1955, the theme park’s apparently intoxicating blend of nostalgia and futurism, of order, artificiality, and spotlessness, had, according to one assessment, lured roughly a quarter of the country’s population. In the year of Disney’s death, an estimated 240 million people worldwide watched a Disney movie, 100 million saw a Disney television show every week, and 80 million read a Disney book or magazine. To be a mainstream American in the American Century was to inhabit Walt Disney’s world. But Disney’s career and legacy are a good deal more complicated than that. From the frenetic early Mickey cartoons—which inventively borrowed elements of popular music, comedy, vaudeville, and dance—through the finely wrought shorts and features of the golden age of the Disney studio in the 1930s and early ’40s, to the increasingly sentimental, banal, and uplifty animated and live-action films of the 1950s and ’60s (think Son of Flubber), Disney’s work evolved radically. Although intellectuals of the 1930s and early ’40s lauded Disney more enthusiastically than any other popular entertainer save Chaplin (The Nation declared in 1934 that Mickey Mouse was the “supreme artistic achievement of the moving picture”), they soured on him in the postwar years. By the 1950s, the cultural elite castigated his sensibility and creations, even while the silent majority (as it would soon be known) increasingly and defiantly embraced him as its avatar. His career, then, exposes both monumental shifts in popular entertainment and a concomitant social and cultural divide that remains largely unbridged today. As did Schickel and Watts, Gabler stresses Disney’s early commitment to innovation—he consistently eschewed his successful formulas in favor of what he called “another street to work on”—and to perfection. A merciless but inspiring boss, Disney demanded that his animators lavish extravagant and hugely expensive care on their work. 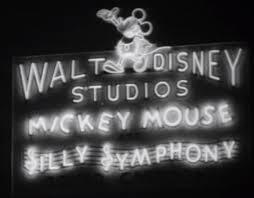 With every cel and every gag subject to endless, systematized analysis (Disney is indisputably one of the premier story editors in motion-picture history), the Disney studio of the 1930s resembled both a rationalized factory and a medieval guild. Of course, the end of the golden age of Disney animation marked the start of both the studio’s precipitous artistic decline and its astonishing economic success—a success that ultimately freed it from the constraints imposed by the outside money boys. But if Disney shunned his gifts, he nevertheless pursued his vision. The string of efficiently made, schmaltzy, gimmicky, or quaintly earnest nature films, live-action movies, dumbed-down and hokey “classics,” and TV shows that Disney produced in the 1950s and ’60s genuinely and profoundly embodied his interests and sensibilities—as did the occasionally great achievement, such as Mary Poppins. Like the preternaturally cheerful Disneyland, with its nostalgic “Main Street, USA,” they represented to him, and to his huge and devoted audience, the safe, the bland, and—to a large extent—the mindlessly comforting (in a mock condemnation of Mary Poppins, an editorial in The Kansas City Stardenounced the movie for spurning sardonic satire and the other emblems of “cinema that is Really Worthwhile”). For decades the sophisticated and the well educated somewhat understandably sneered at this passionless and anodyne withdrawal. But that Walt Disney—a man who never learned to catch a ball because as a boy he never had time to play, and a man who adored the soda-fountain confections he hadn’t been able to afford as a child—beat such a retreat wasn’t really surprising, and was far more sad than contemptible. That his later audience also preferred what they saw as wholesome comforts over daring and clever cinema—or even authentic experience—should perhaps also arouse more sympathy, or at least scrutiny, than disdain.